Do I Have A House Leak? The best way to determine if you have a leak in your plumbing system, is by first checking your water meter. Make sure no water is being used inside or outside of your house. Locate your water meter and check the leak indicator to see if it is moving. Depending on the brand of your meter, the leak indicator could be a small triangular shaped dial or a small silver wheel that rotates when water is flowing through the meter. If the dial is moving, chances are, you have a leak. Or, you can also take a meter reading and wait 1 or 2 hours and take another meter reading (make sure no water is used during this time). If the reading has changed, you have a leak. After you have determined that you have a leak, contactus to schedule an appointment to locate the specific area of the leak. 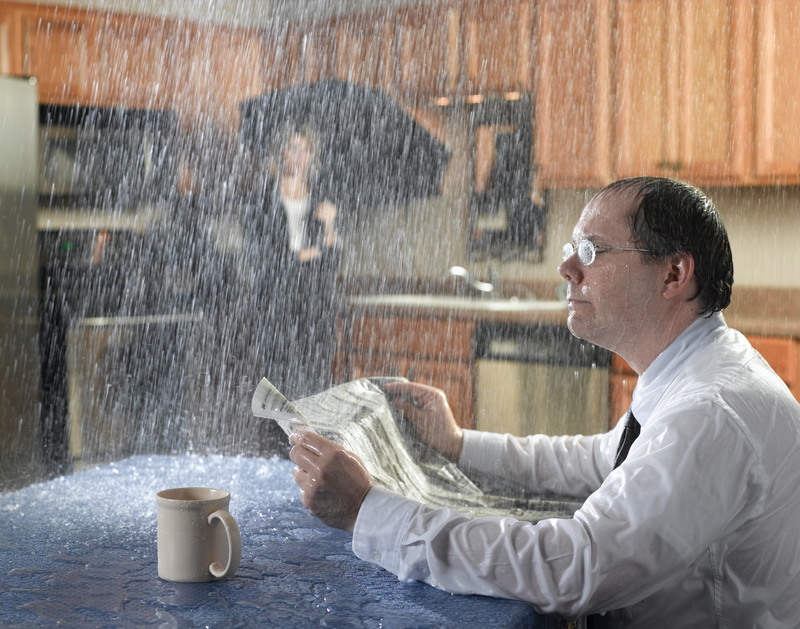 Be aware that the exact location of a leak may not always be immediately obvious. Some leaks may start at one location, then flow along a ledge or other channel for a distance before they drain down and create some visible damage. Look for wet, warped or discoloration stains on your ceilings, floors, walls and woodwork (such as the bottom of your kitchen or bathroom sink cabinet). Condensation can also be a form of water leak. While condensation is normal, excessive condensation can cause damage to your walls, ceilings, floors and woodworking. If there is too much condensation, insulating your pipes may stop or reduce the condensation. It takes a blending of expert specialists and quality equipment to detect hidden leaks. With our extensive training programs and state-of-the-art equipment we have saved homeowners billions of gallons of water. By utilizing our methods, not only are we saving water, but saving homeowners millions of dollars in costly property damage and destruction as well. While it is true that leaks are more common in older properties, newer properties can have problems too. Poor construction and corrosion and in many cases, ground movement can cause unexpected pipe damage at any time. If undetected, the problem threatens property and makes repairs more costly.